Not the first, but one of the very few salons for people of color in Shanghai offering services for braids, dreadlocks, attachments and more. Crown Salon is the newest addition to the small list of salons that've opened with Shanghai’s expats of color in mind. The first was Studio Ebony in 2013, which has since closed, then there was Paulma Salon in People’s Square and Hair Online in Pudong. Still, there aren’t a ton of options, so partners Syntyche Bolila and Matt Barrett thought it wise to throw one more alternative in the mix. 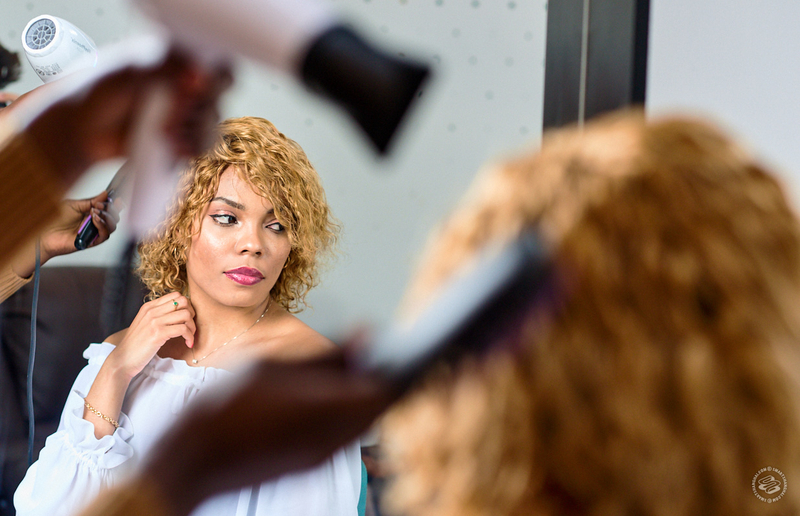 Inspired by what they felt was missing, their intention was for Crown Salon to be a high end afro-centric hair salon revolving around client experience. 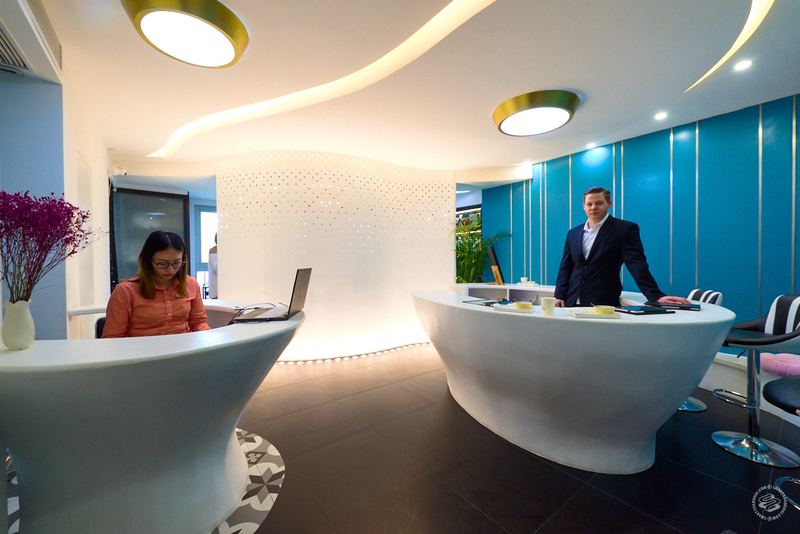 And it's as 'high end' as it can be, tucked between a teeth whitening clinic and a doctor’s office in a semi-residential building on Xinzha Lu. Matt's American and was doing a final project for his online MBA when he began research for the business that he and his partner Syntyche would eventually open. Syntyche is Congolese and has been styling hair for over 7 years. 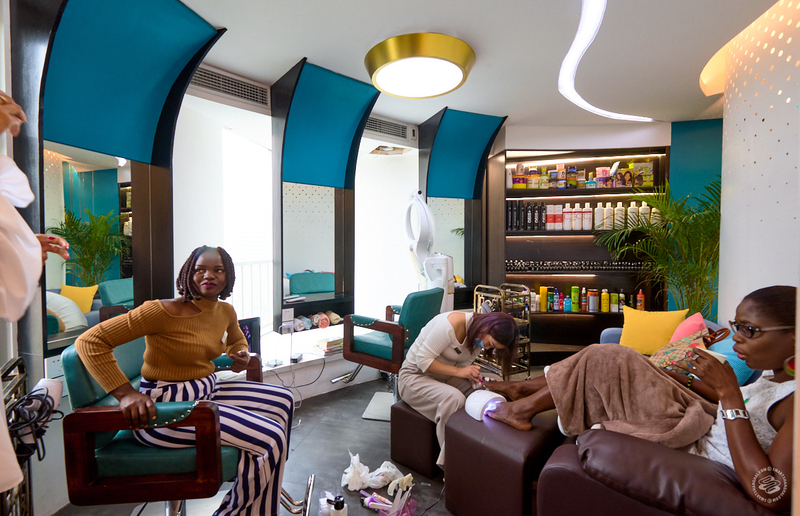 When they took a look at the numbers from other cities like Guangzhou, they estimated there were about 10,000 expatriates of color living and working in Shanghai, enough to have another salon and have it be successful. You can tell a lot of thought went into the layout, an attempt at modern-chic in blue and white, and all in a pretty tight space. There are 3 chairs in the back, but most of the salon is taken up by the reception, which looks loosely inspired by the command center of the USS Enterprise. At attention, you'll find a very friendly woman with an appointment book who'll greet you on your way in. She'll ask if you want a snack of nuts, chocolate and edible promotional menu. To your right Matt's on deck with service options. Syntyche focuses on lace wigs and weaves, which they don't sell in store, though if you bring yours in, she can attach it. Their plan is to carry more product, but currently they only have some attachments and braids for purchase. 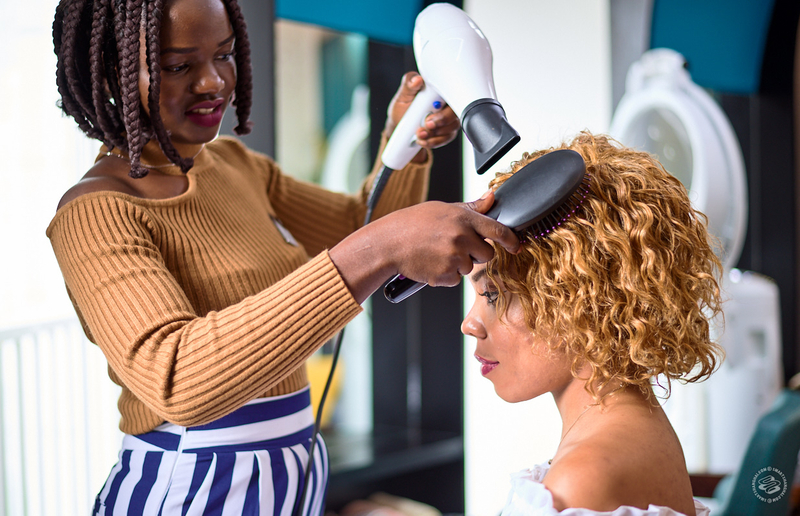 Crown Salon has a second stylist, Violet Mbalinze, who comes from Uganda and has over 5 years of experience in the hair business. There are services in braids, cornrows, and dreadlocks as well as treatments for natural hair (perm or relaxing). But important to note, the salon does not dabble in cutting. Crown Salon also offers manicures, pedicures, and eyelashes on the relatively cheap with gel manis starting at 60rmb (on Dianping, after the discount manicures start at 106rmb) and false eyelashes starting at 166rmb. Matt says prices may seem high for some due to the mark-up on imported hair products, but everything is relative. To get an idea of pricing on hair services, they've got Rasta Braids running from 429-949rmb, Crochet Braids at 579rmb, Cornrows from 389-789rmb, and Dreadlocks from 589-989rmb. Hair Washing 80rmb, Blow Out 80rmb, and Straightening 149rmb. Weave attachments range from 300-580rmb. Since open they've run monthly promotions for discounts on nail and hair services, for first time clients and on specific days, so be sure to check current promotions before booking. Everyone’s invited! 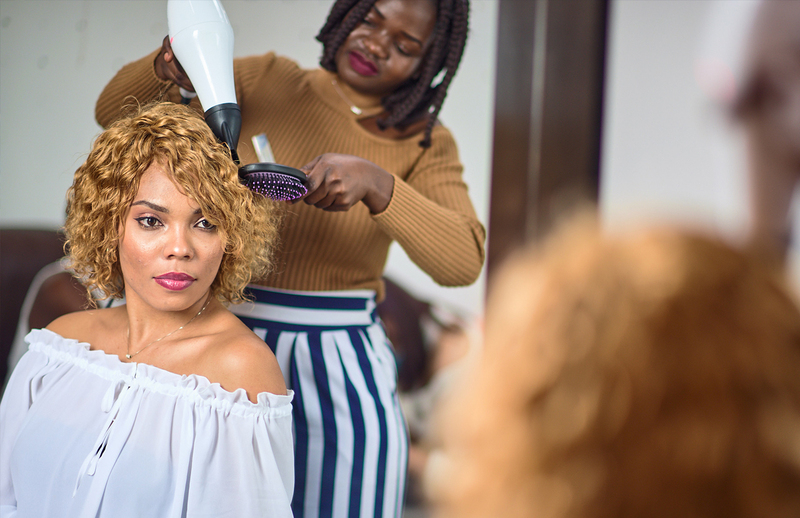 They have Chinese clients who request braids and eyelashes, as well as a handful of male clients who come in for pedicures and dreadlocks. You can make appointments day of, they also take walk-ins. Though Syntyche stresses that they will run appointments on time, so don't be late! And along those lines, the experience of getting into the elevator at Delight Pacific Suites where the salon is housed was pretty crazy, so maybe avoid booking during lunch hour. Discounts on their Dianping page and make an appointment by calling, info here.